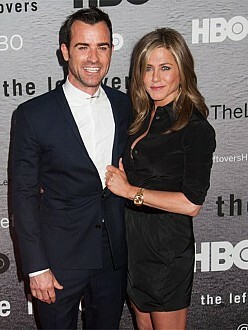 Justin Theroux finds it ”infuriating” when his wife Jennifer Aniston gives him the silent treatment. The Leftovers star, 44, has admitted there’s nothing that frustrates him more than when the 46-year-old actress refuses to talk to him after an argument. Meanwhile, the couple tied the knot last August at their lavish home in Bel Air, California, in front of 75 friends and family – including stars such as Ellen DeGeneres, Orlando Bloom and Sandra Bullock – following a three-year engagement. Sandra Bullock adopts baby girl?